It’s back to school time again! Where did the time go?! 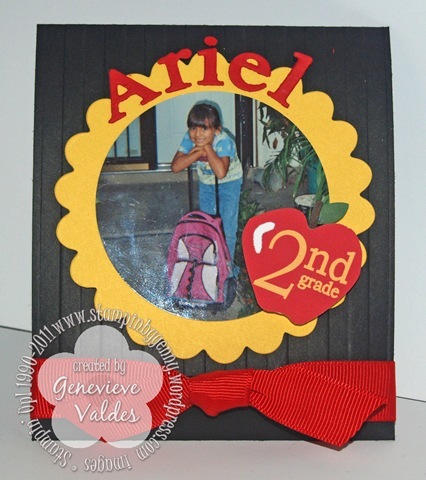 This week at Hand Stamped Sentiments the challenge is to create a school themed project. 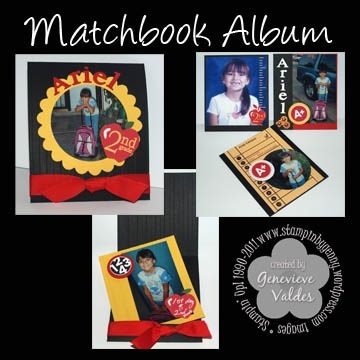 I remembered I had some pictures of my niece’s first day of 2nd grade so I created a matchbook album. This album was so easy to create. 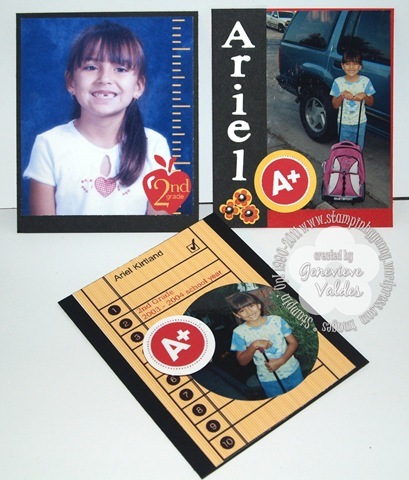 Step 1: Start with card stock 3-7/8″ x 9-1/4″. Score at 4″ and 8-1/2″ and fold both flaps in so that the long flap tucks under the short flap. 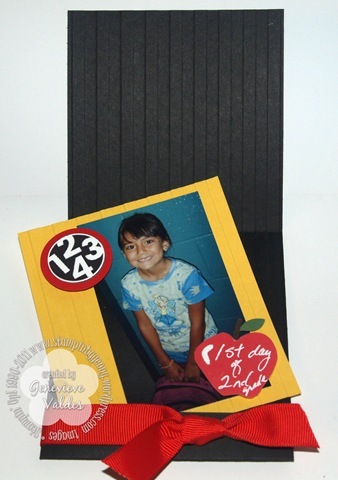 Step 2: Create cards for the inside by cutting card stock into 3-5/8″ x 4-3/8″ pieces. You can make as many as you like, but four or five is recommended. More than five and the book will get a little too full. Step 3: Adhere photos and embellish! So easy! Check out Hand Stamped Stamped Sentiments for more BTS inspiration and join our challenge. Genny- I JUST saw these in SS- YOU did a great job on this. I thought about possibly doing this as a class, yours looks GREAT!!! I am super inspired to try it- THX! Adorable!! What a cool idea!!! You never fail to amaze me!! Cute Back To School page. Love all the different elements you used.